Mahesh In Undue Hurry: A Spoiler Alert! 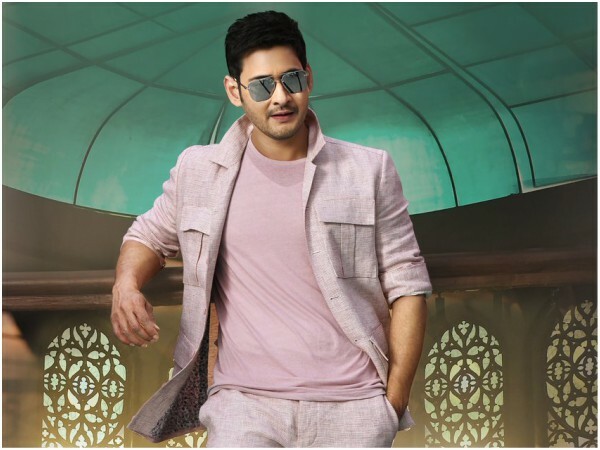 Super Star Mahesh Babu is all set to entertain with his milestone 25th film Maharshi on May 9th. It is known that Mahesh will be teaming up with Anil Ravipudi for his next after Maharshi. Everyone is aware that Mahesh was supposed to join hands with Sukumar. But, with the sudden entry of Anil Ravipudi, Sukumar was sidelined and subsequently his project got shelved. The turn of events for whatever reasons disappointed the diehard Fans of Mahesh Babu. Sukumar is currently in top form and is experienced in dealing with the top stars. He already came up with a non Baahubali hit with Rangasthalam for Ram Charan. Already talk is spreading like wild fire that Mahesh did a wrong thing by shelving his project with Sukumar and instead giving green signal to Anil Ravipudi. Anil Ravipudi till now dealt with only medium ranged heroes. This is for the first time Anil is teaming up with a star like Mahesh Babu. Though he recently scored a hit with F2, everyone felt that the second half in the film turned out to be extremely weak. However with other films in the Sankranti race turning out to be disasters, F2 made the most of it. Mahesh has been extra careful while signing new projects after the shocks he got in form of Brahmotsavam and Spyder. Talk is that Mahesh is giving green signal only after going through the bound script. Under these circumstances it is still a mystery how and when Anil Ravipudi who is known to develop script spontaneously at the sets, readied the script and how Mahesh gave the green signal. Mahesh takes nearly one to one and half years for a single film and it goes up to two years if one considers script work time. Vamsi Paidipally had taken 2 years for Maharshi. However Mahesh is keen to finish off his next with Anil Ravipudi and release it during sankranti. Anil is offered a whopping Rs 9 crs as pay for the film. Many feel considering all these factors, it is near impossible to wrap the film at such a short time. Some are suspecting whether Mahesh is in an undue hurry to complete this project and Fans too are expressing the same fears. Maharshi: Padara Padara Song: Uff!